We believe details are the key to quality at L.R. Mourning Company. Quality workmanship, combined with speed and control over costs, translates into a positive end result for each and every client we serve. Our work varies widely in client type, size, and scale. An industry leader in commercial construction and general contracting services throughout Arkansas, Alabama, Kansas, Oklahoma, Missouri, Mississippi, Tennessee, Texas, Georgia, New Mexico, Nebraska, South Carolina, North Carolina, Florida, and Louisiana. We have managed countless commercial construction projects across a broad range of industries including retail offices, shopping centers, automotive, grocery, medical facilities, state and municipal projects, and a multitude of restaurants throughout the Mid-South. Before the project begins, we select the best subcontractors by qualifying them. We analyze all bids, and carefully manage the performance of the work while on the job. As Construction Managers, we take responsibility for the entire project. Our services span all phases of construction no matter the size or scope. During construction, we keep the project on schedule and budget. We maintain high standards for quality, safety, and risk. We are in constant communication with the owner, architect and contractors during construction. 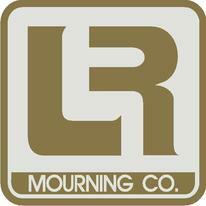 At LR Mourning Company we will maintain a safe and productive work environment for our employees, suppliers and customers. ​We will operate this enterprise with foundations built upon organization integrity, personal growth, and mutual respect. The key to a successful project lies in the meaningful dialogue between client and contractor. Our fundamental interest is producing a quality project that will serve our clients needs for many years to come.